Home / seedbox / Free Seedbox : Where ? How ? Which one ? 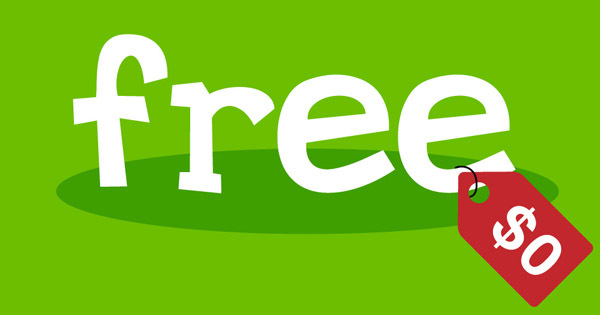 Free Seedbox : Where ? How ? Which one ? Last update : 26 April 2019. Finding a free Seedbox is currently quite a difficult mission. In fact, even though there is a large choice of providers, only a few offer this solution. Yet, most of the time, you’ll find some alternatives such as « money back guarantee » which will enable you to use a Seedbox for free during 3 or 14 days. This is not exactly as having a free seedbox, but it is not too far from it. Unfortunately, this will only be for a limited amount of time. Despite their rarity, we managed to find some free Seedboxes which are really worthy of interest. Why should you start with a free Seedbox ? We can only be pleased by providers that provide free Seedboxes or a long trial period. Why ? Well, it’s pretty simple. In fact, this will enable you to discover and get used to the interface. Even though, in general, you’ll find some things very close from one provider to an other, you’ll definitely have one you like best. Therefore, with a free Seedbox or a long trial period (money back guarantee), you’ll manage to discover by yourself and make your own opinion. Then, you can order a real hosting or leave it and discover a new provider. Even though trial periods are not really free Seedboxes, they still offer the same result in the end. Very often, you can find a very cheap Seedbox which does not have any trial period because its « basic solution » is very cheap already… Anyway, if you’re not happy with your provider when you’re using a trial period, you just have to ask for your payback and the job is done. Generally, clients don’t end their subscription at the end of the trial period because they are very satisfied with what they get. Yet, if you just want to take advantages of the 14 days money back guarantee, you’ll still have to pay first and then ask for your payback. Then, your subscription will be cancelled and you’ll get your money back. Just don’t forget to ask for it within the first 14 days. Without wasting any more time, discover the different providers that offer free Seedboxes or trial periods. 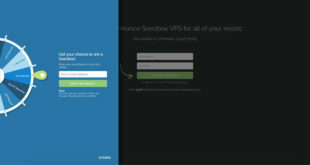 Seedbox.fr certainly the best solution for people who are willing to discover VPSs. In fact, with its free Seedbox, Seedbox.fr really pleased use. As a matter of fact, the latter is 14 days long and will enable you to store 50Go of files and take advantage of the excellent 10Gb/s bandwidth. In the very beginning, we started using Seedboxes with this provider and its free Seedbox. Since, it really convinced us and we’ve tried some way bigger solutions with the one offering 3To of disk space. As you’ll see during this article, the main problem with free Seedboxes is that their disk space is really limited. Therefore, you’ll have to pay if you really want something serious. Nowadays, we hardly manage to imagine a VPS under 200Go of disk space. Of course, everything will depend on your use. In the end, Seedbox.fr really offers the best solution as far as this is concerned and we can strongly recommend you to try the 14 days free Seedbox with this provider. The only little weakness is that the number of active files is limited… Also note that it is the case on every solution with this provider. For instance, you’ll be able to have 300 active files simultaneously on the Premium solution which costs 36€ VAT included for 3 To of storage. Yet, keep in mind that the connection speed you’ll have on the free Seedboxes is nothing compared to what you would get with the charged Seedboxes. Even though having a free Seedbox is very interesting, 15Go is still too limited according to us. Download 2 movies in UHD and your VPS will be full… We really think that the compromise that Seedbox.fr offers is way more interesting. Yet, here, the advantage is that you’ll be able to keep it for as long as you want. If you only want to download a few TV series that are only 300Mo big, this can easily do the job. Also note that, unfortunately, these free Seedboxes are very often out of stock… In fact, victims of their success, they are very often referred as « Out of stock ». Therefore, you’ll have to have a look with at some other providers that you’ll discover in the coming lines. 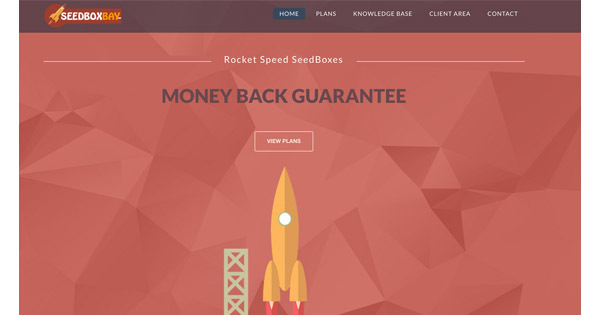 Even though it is not really a free seedbox, the period « money back guarantee » enables you to take advantage of the same things than with a free seedbox solution. As a matter of fact, you’ll have time to see if the interface suits you, if the client support is efficient,… The very big advantage of these solutions is that you’ll be able to choose all the VPSs that are provided. Therefore, you’ll fully enjoy the different advantages (Plex, very high connection speed, unlimited bandwidth, dedicated support,…). In the end, you’ll have a perfect idea whether you want, or not, to take a charged seedbox with the provider you’ve tried. 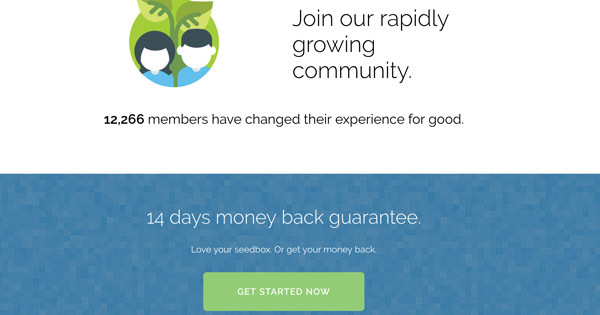 Like RapidSeedbox, Seedbox.io also offers a « money back guarantee solution ». Here, there is no free Seedbox, but you’ll be able to fully enjoy all the advantages of this very good provider during 2 weeks. Everything works exactly the same than what we’ve just seen with RapidSeedbox. You can choose the VPS you want and you’ll have to pay first, and, then, ask for your payback. 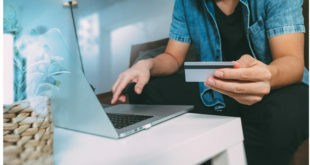 If the interface, the client support, the connection speed,…don’t suit your needs, you can, whenever you want, stop it and ask for your money back. One more time, it is very rare that people ask for the payback. Indeed, all the Seedbox providers that you’ll find in our comparison and ranking of the bests VPS are really good and really worthy of interest. Yet, if your goal is to have a free Seedbox (during 14 days), we truly understand your strategy consisting in cancelling your subscription before the 14 days, even though you’re satisfied with the quality of your provider. To know more about this provider, do not hesitate to read our in-depth Seedbox.io review. The first of our ranking, RapidSeedbox offers very interesting a solution. Even though its tarification is one of the most expensive we’ve seen, you’ll still have 14 days money back guarantee. Therefore, you’ll be able to take any of the 5 VPSs and test it like a free Seedbox. Yet, here, you’ll have to pay first. If you’re not satisfied by your hosting, you’ll be free to ask a payback within the 14 first days. Trust us, if you try it, you’ll adopt it. 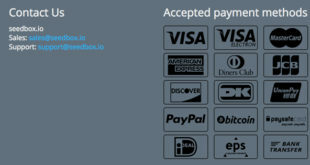 Be careful, if you’re just there for the « free Seedbox », don’t forget to ask for your payback within the 14 first days. Otherwise, it will be considered as if you want to keep on with the subscription. Still, as you can see in our in-depth RapidSeedbox review, the client support is really friendly and reactive and will very swiftly take into account your decision if ever you want to stop your subscription. Just send them a message via the online chat and the job is done. Even though it is, by far, not the cheapest Seedbox provider, it is still awesome according to us and the solutions you’ll find are all very interesting. If you want to try a free Seedbox for 14 days on a VPS offering up to 2,8To of disk space, it’s that way ! 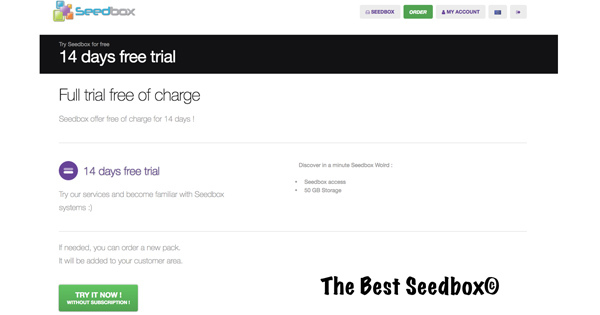 Finally, the last Seedbox provider offering a trial period is SeedBoxBay. The latter is also very interesting even though it’s on a shorter period. Indeed, here, you’ll only have 72 hours to test all the different things you need to check. One more time, everything works exactly the same than Seedbox.io or RapidSeedbox. Yet, here, you’ll have to be faster if you want to cancel your subscription. Because of its very short trial period, SeedBoxBay is certainly not the best solution if you’re looking for a free Seedbox. yet, it is still interesting to notice that you’ll be able to enjoy these 3 days to be fully convinced once you order a charged VPS with this provider. As you can see, all the providers that you can find on our website are not offering a free solution. As you can see in our DediSeedBox review, for instance, it is not because there is no free solution that the provider is not good, far from it ! Still, if you want a free Seedbox, you’ll have no other choice than to go with one of the providers you’ve discovered in this article. In the end, there is not a lof of providers offering free Seedboxes. As we told you in the beginning of this article, there is only a few and it is, most of the time, on quite a short period of time. All « experienced » users won’t be satisfied with a free Seedbox because it is simply way too small. Therefore, they will go on charged solutions in order to have way more disk spaces. For beginners and to discover the world of Seedboxes, the free solutions you can find here are very interesting, though. Next Why is it so important to have a good client support ?